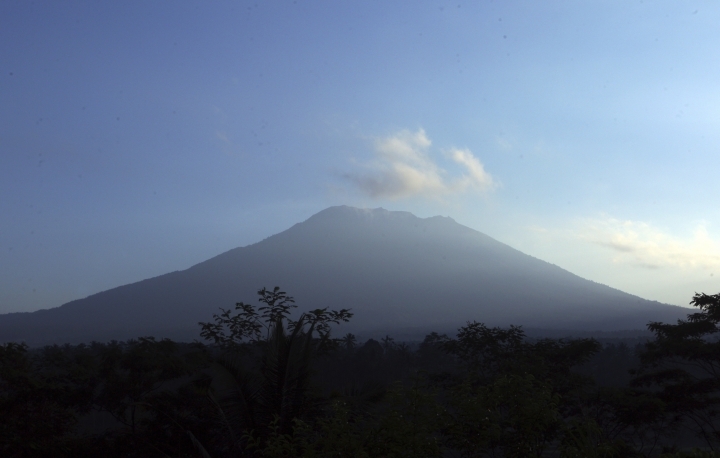 JAKARTA, Indonesia — Indonesian authorities have raised the alert level for the Mount Agung volcano on the tourist island of Bali to the highest level, and more than 11,000 villagers have left their homes around the mountain, officials said Friday. It was the third time in little more than a week that the alert level was raised. The Department of Meteorology, Climate and Geophysics said there has been a "tremendous increase" in the mountain's seismic activity, indicating a greater probability of an eruption, though it couldn't give a timeframe. The National Disaster Mitigation Agency said no residents or tourists should be within 9 kilometers (6 miles) of the crater and within 12 kilometers (7.5 miles) to the north, northeast, southeast and south-southwest. 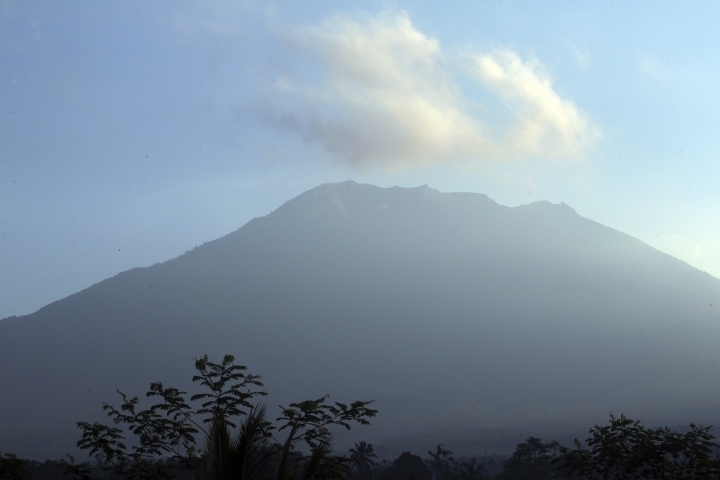 Waskita Sutadewa, spokesman for the disaster mitigation agency in Karangasem district around Mount Agung, said nearly 11,300 villagers have been officially evacuated. He said the real number of displaced might be two or three times that, since many have voluntarily fled their houses. The agency says evacuees are staying in temporary shelters, sports centers, village halls and with relatives. The 3,031-meter (9,944-feet) Agung last erupted in 1963, killing about 1,100 people and hurling ash as high as 10 kilometers (6 miles). The country of thousands of islands is prone to seismic upheaval due to its location on the Pacific "Ring of Fire," an arc of volcanoes and fault lines encircling the Pacific Basin. 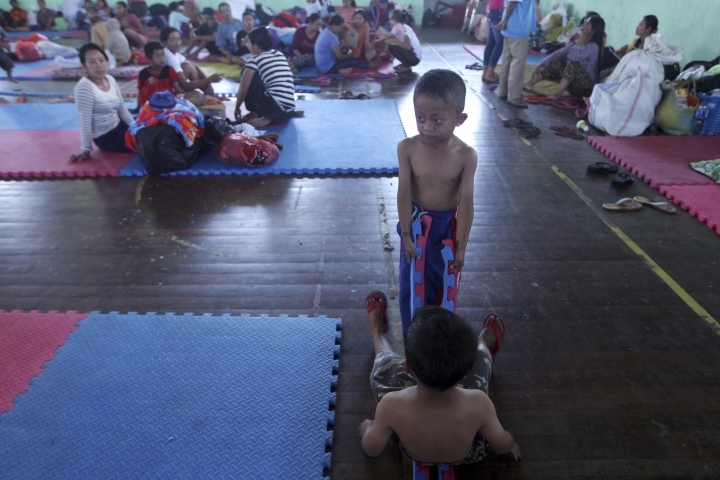 More than 7,000 of the evacuees were in the 840 square kilometer (325 square mile) Karangasem district, which is home to about 408,000 people.